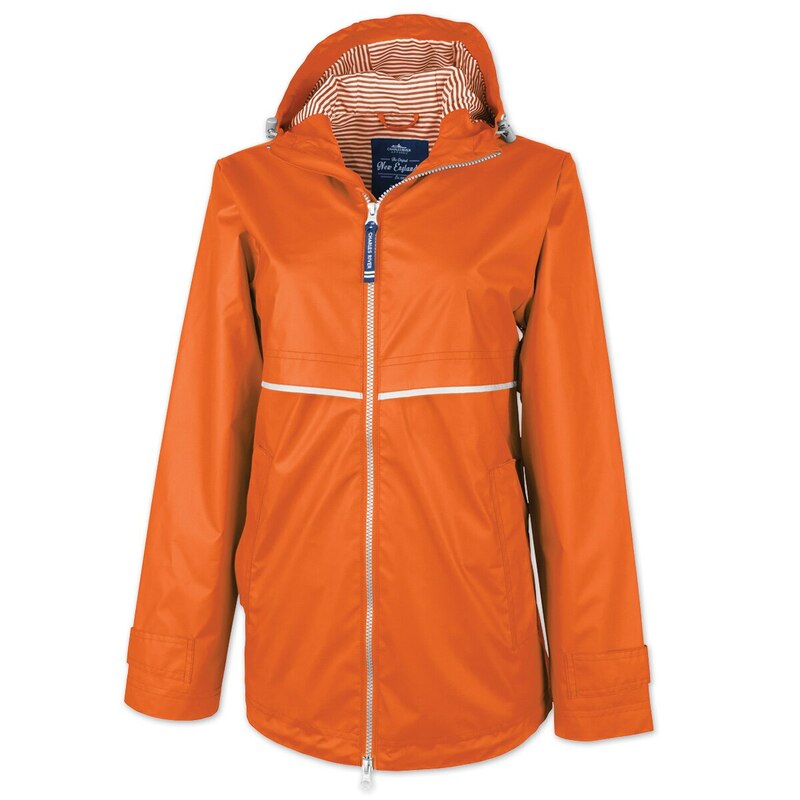 The Personalized New Englander Rain Jacket is an attractive way to stay dry! 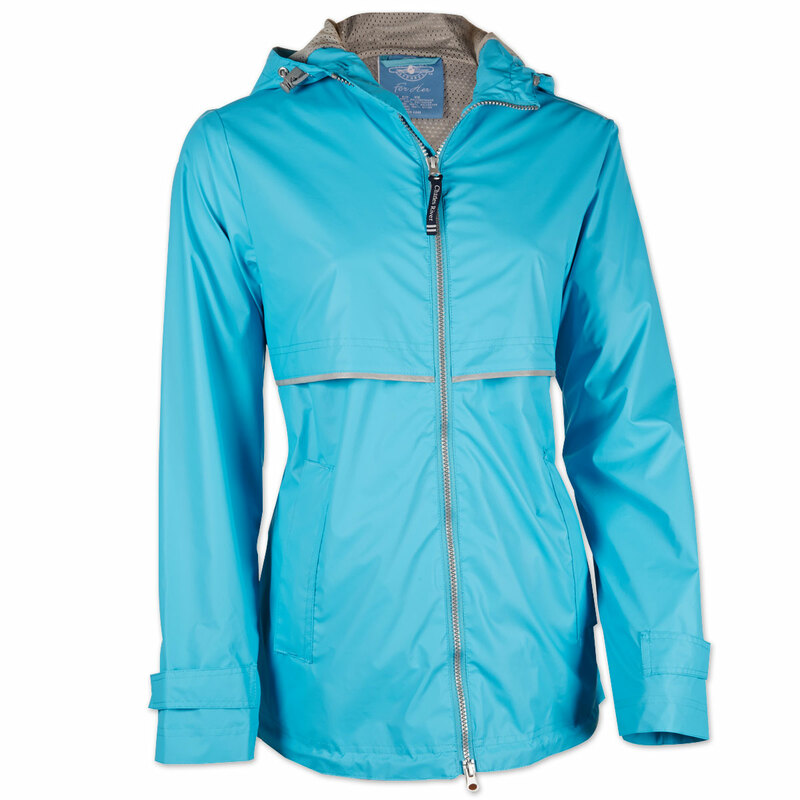 100% wind and waterproof with heat-sealed seams, the mesh-lined body provides breathability while the nylon-lined sleeves make it easy to take on and off. 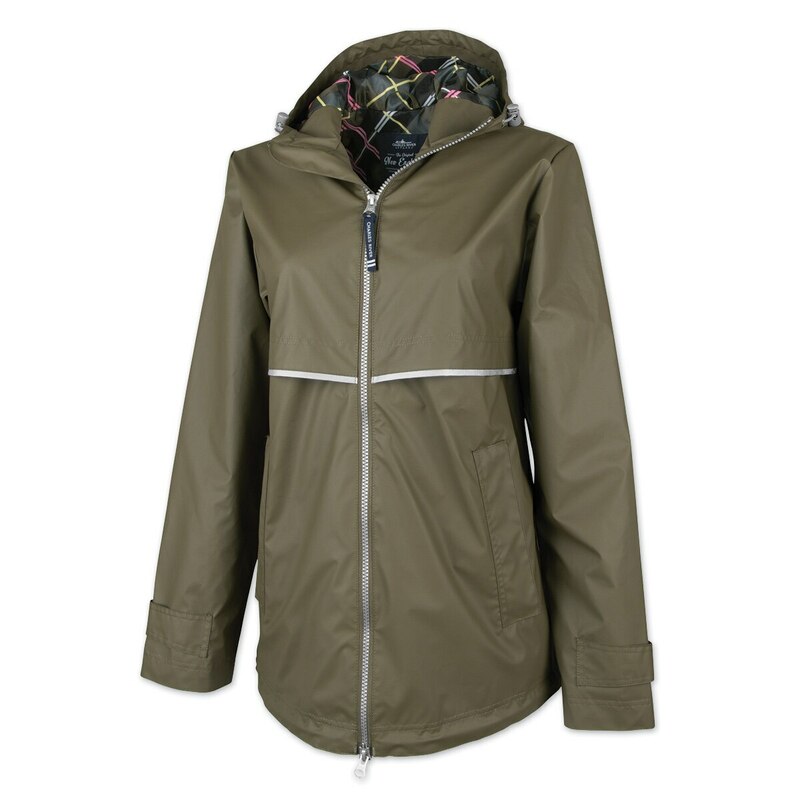 Forget a baggy raincoat, this jacket features attractive A-line styling and adjustable shockcord drawstrings with cord locks in the hood and the hem. 100 Polyurethane with a woven back. 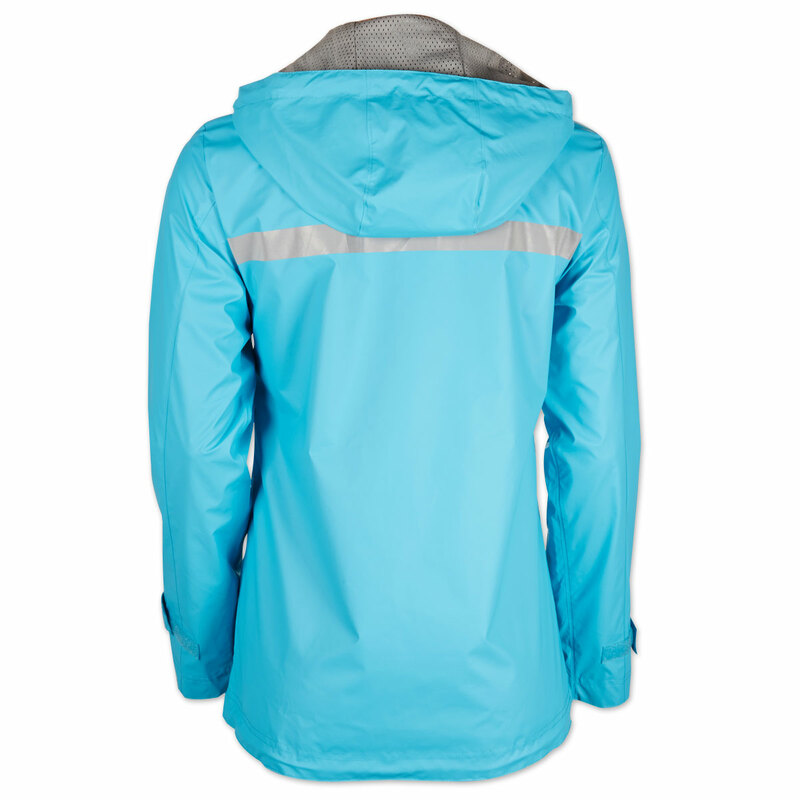 Women's New Englander Rain Jacket is rated 4.7 out of 5 by 23. Rated 4 out of 5 by Mary from Now my husband wants one! Love this jacket! It really is waterproof, which was my main concern when I ordered it. The fit is pretty good, although a hair tight over my hips - not unusual but a slightly different cut would have helped. Husband wants one now. Rated 5 out of 5 by Rebecca from Love this jacket I’ve had this jacket a few weeks, It has kept me nice and dry even in a down pour. 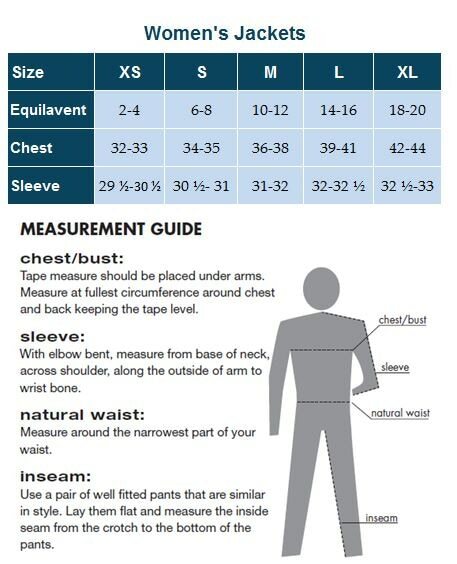 I usually have trouble finding sleeves that are long enough, these are great! I love the toggles to adjust the bottom and hood. Nice coat I’d recommend to a friend. Rated 5 out of 5 by Irina from Exceeded all my best expectation Extremely comfortable, truly beautiful, and practical jacket. Rated 5 out of 5 by gailb from good value this is a practical jacket; well made, simple but well designed. I exchanged it for the Smartpak rain jacket, though which seemed better for riding. Rated 5 out of 5 by Beth1916 from Beautifully Made Beautiful jacket and very comfortable. Shipped quickly, too! 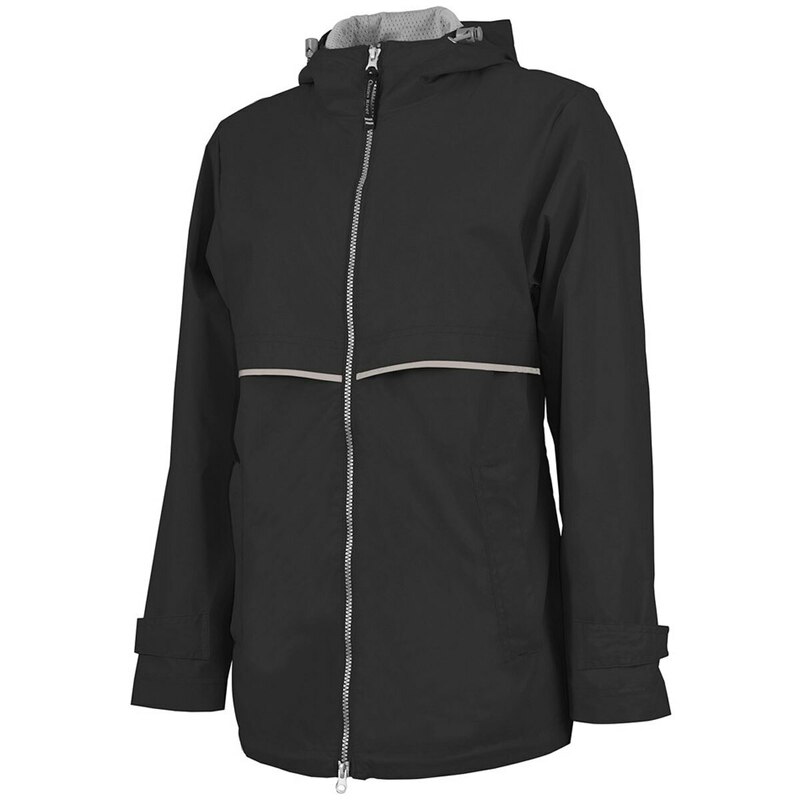 Rated 5 out of 5 by Dia rider from Best rain jacket evet! 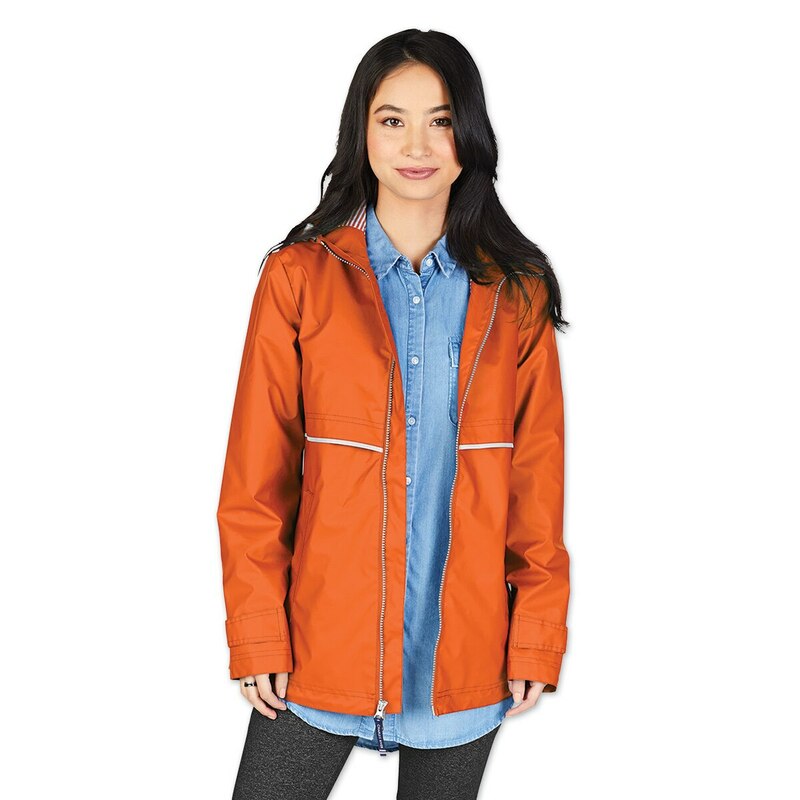 I searched forever for a great rain jacket...this is it...guaranteed waterproof, not resistant, roomy zippered outer side pockets, liteweight and warm. Fits well..doing chores or riding. Well worth it. 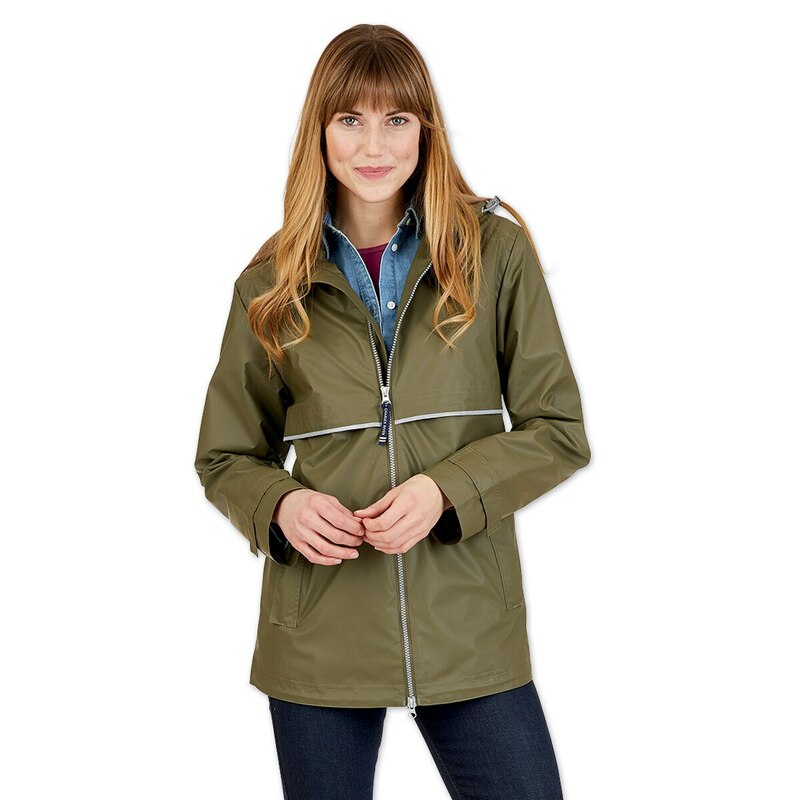 Rated 3 out of 5 by Jenv from Good jacket I received this coat for Christmas 2016 and it is a really waterproof coat. One of the arm seams has come apart and today I noticed a zipper tooth has broken off. This coat has only seen light use. The outer shell of the coat is good condition. Rated 5 out of 5 by Katefl1234 from Nice quality I got this jacket so I could have something to keep me dry during the Florida downpours. Nice and easy to throw on before getting out of the car. Rated 5 out of 5 by Patty from Awesome jacket I just bought this jacket in navy. It fits great and I love that it zips up from the bottom to have the freedom of movement. Rated 5 out of 5 by Sandy from Great Rain Coat! I was pleasantly surprised with the fit and quality of this raincoat. I had the chance to put it to use while photographing a 3-day horse show not long after I recieved it. The fit is comfortable and flattering, love the color and the custom embroidery ~ recieved several compliments!